Darlings, there are an estimated 201 million orphans in the world today. The majority of these orphans are in India, seconded by Africa and Mexico. Some of these orphans have lost one parent, some both, and some are “virtual” orphans that have been turned out onto the streets by their families, but all are vulnerable and in need of help. Without assistance these orphans continue in the cycle of poverty, HIV/AIDS, trafficking, prostitution and slavery that haunts developing countries. 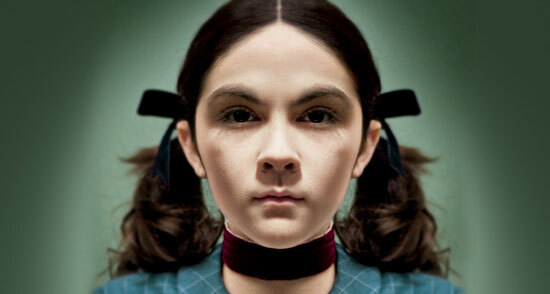 Have you watched the movie ‘Orphan’? It’s about a girl (an orphan) who was adopted and as soon as she came into the family, evil started happening. As in, EVIL. 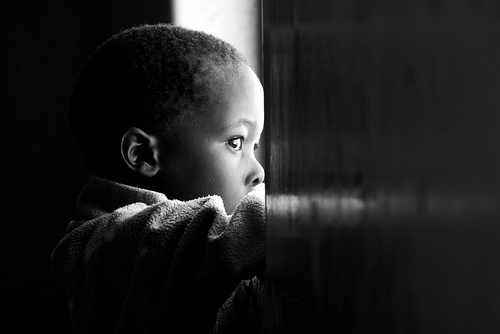 It gives us a lingering impression that orphans are damaged goods and that adoption can tear apart your life. I watched the movie with a couple of friends and a majority came to this conclusion- I WILL NEVER ADOPT ANY CHILD. Alleluia! He is near us, faith believes, nor questions how…’. We are all orphans, you know? Adopted by God, despite our flaws. Adoption is all about salvation. In fact, adoption is a wonderful way to describe the gospel of Jesus Christ. 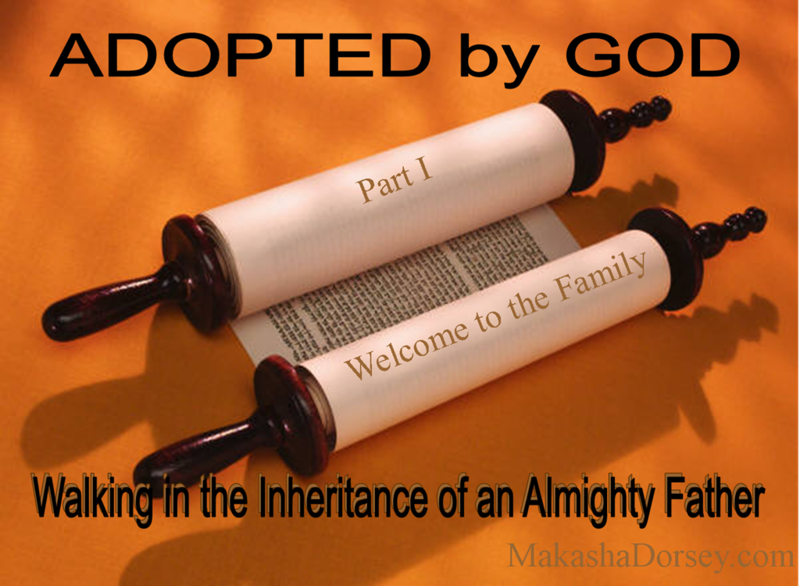 God is an adoptive Father. Jesus, our Elder Brother, is God the Father’s eternal, only-begotten, natural Son. 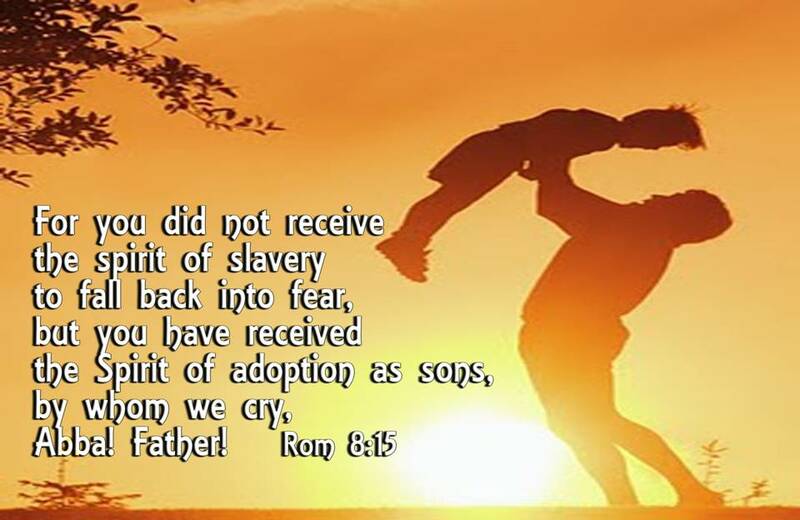 We believers are his sons through adoption. This identity is fundamental to who we are. As adopted sons, we enjoy all the rights and privileges of the relationship that God the Father enjoys with his eternal Son. To be God’s sons through adoption means that we are co-heirs with Jesus. This is an amazing reality and an eternal privilege! We will forever be God’s sons through the miracle of adoption. The doctrine of adoption matters when it comes to orphan care. Of course, families who adopt must want and love children, but much more is needed if we are, on a macro level, to meet the needs of the hundreds of millions of orphaned and vulnerable children, and, on a micro level, to unselfishly love and the children in our homes in a way that provides answers and healing to their painful losses. Followers of Jesus Christ care about widows and orphans and they understand that it is a litmus test. Caring for orphans is not just for infertile couples or middle-aged folks who have a little discretionary money and time. It has nothing to do with personality, it has nothing to do with spiritual gifts, it has nothing to do with economic status, it has nothing to do with your season in life. It has to do with accepting the responsibility that God will one day hold us accountable. On a macro level, our message is not just for people who are currently involved in orphan care. We believe we must remind the church of the doctrine of their adoption precisely to awaken their minds to the idea of loving some of the most vulnerable children in our world. We are convinced that our message is necessary because the global orphan crisis is massive and unacceptable. The more than 200 million children who are orphaned will never get their physical and emotional needs met without the church taking extreme action. What should motivate the church to social action? Every single time, it needs to be the gospel. If we remove the gospel as the main motivation for the church to take action, we are left with individuals being motivated out of works righteousness. We must have a love that is so unique, so counter-cultural, that we are able to love children that the world does not want, the kind of children whom the world deems undesirable and unlovable. This unique love can come only after drinking from the well of God’s love for his Son, which, by the wonderful grace of adoption, has been poured out to us. Adoption is a tough calling. Its difficulty gives weight to the mission. At the same time, it’s not enough to simply send some money or place children in orphanages. God is a relational God and an orphanage is an institutional solution. The best solution is for children to be in homes with their own families. If one family out of every four churches in the world adopted a child, there would be no orphans. 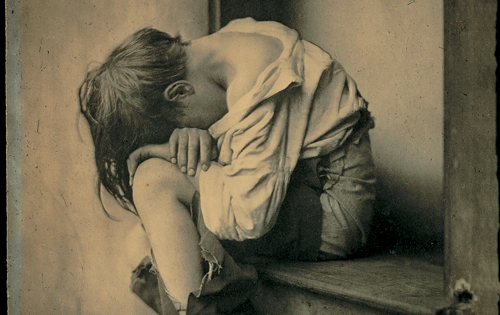 I am sure we would be able to forgive our thieving politicians if they used the stolen government funds to take care of children with no homes. I agree that adopting a child comes with its own share of challenges but if a horror movie is enough to dissuade you from showing love and adopting a child, then that child is probably better off without you. You need to understand that adoption represents the heart of what Jesus Christ has done for … US. Posted on January 31, 2014, in Dear Jesus and tagged Adoption, Adoption and Christianity, Helping the needy, Loving Children, Orphans, Showing Love, The Church and orphans. Bookmark the permalink. 17 Comments. Ezar,this is a teary message dat brought guilt 2 my burdened soul.Since all my children are grown,this will b a wonderful opportunity to adopt a precious soul made in God’s image nd after His likeness.I pray dat my husband will agree.This is d need of d hour,though alien 2 this part of our world.Dear Jesus,pls send me one in a miraculous way 4 adoptn dat will enable my husband 2 accept in agreement.Thank U 4 d person u send.The choice is all yours! Lord,i am guilty nd promise not 2 meet u empty handed.Enough of d selfishness of this age!Enough of ‘God bless me’prayers.NOW,is d day of salvation.NOW,is d time 2 give back 2 d society.NOW,is the time 2 pray-Dear Jesus,make me a channel of blessing.Truely,its more blessed 2 give than 2 receive!!! Ezar,i share d same burden wit u.This great burden took me 2 an orphanage 2 make enquiries on adoptn.What i heard was wicked……man’s inhumanity against his fellow man.The management told me dat they stopped giving up children 4 adoption wen d ‘workers of iniquity’started using them 4 money rituals,nd some sold by ‘child traffickers’.This is Blood Money!Now d process of adoption is longer nd tough.They hv 2 b doubly sure dat they dont enter wrong wicked hands.But d love 4 a child endures all things 2 get one. Success 2 all dat desire 2 adopt one. Fela’s song adds credence 2 d African mentality…..’African woman/man no go gree,i go say i b African o’.Yes,no matter how long it takes them 2 hv their own,they will NEVER succumb 2 adoptn.The African tradition frowns at it nd treats these God’s children as outcasts.In homes where they find themselves,they dont hv an inheritance.Indeed traditions of men are always against d Word of God(Matt 15:1-9).Nigeria as we all know,is a very ‘religious’ nation.We worship God wit our lips but our hearts are far frm Father God.May God help us! What a great message 4 dis time nd season.Yes,our celebrities shuld set d ball rolling by adopting them,nd not just celebrating ‘birthdays’ wit them.Instead of giving them fish,show them how 2 fish,…show them how 2 live nd become somebody in d society. ‘NKEONYEASOYA’ is a name we bear in Delta North,nd it means….’my OWN dey sweet me’.What it implies is dat….its sweeter to have your own,otherwise u end up borrowing frm someone.In this wise,some consider adopted child as ‘borrowed’b/c 2moro he/she may wake up nd start looking 4 d biological parents.Rem Blood is thicker than water,nd wen dis happens,its heartbreaking 4 d adopting parents. Peter,i perfectly agree wit u.It happened 2 a friend who did not hv a child nd decided 2 adopt one,a girl,She raised this child like her own frm infancy 2 adulhood.She travelled out of d country wit her nd sponsored her University educatn.Meanwhile,d biological parents dat were poor at d time of adoptn ‘suddenly’became rich nd sought 4 their daughter.They came knocking,demanding 4 their daughter.My friend refused 2 give up d only child she knew nd thot she had.But just as u rightly said,blood is thicker than water.The girl naturally followed d biological parents,leaving my friend childless at old age.It was devastating 4 her,nd mentally affected her.She went 2 d British court 4 justice.As she was busy fighting d case,the girl’s parents sent assasins against her 2 eliminate her.I suddenly lost contact wit her,hoping dat she is still alive.This is True story,not nollywood movie.I counsel dat we prayerfully seek adoptn,2 b led by d Spirit of God,for we know His blessing maketh rich without sorrow. Wonders shall never end.For every good thing,there’s an abuse.Now 2 frustrate d good intentions of adoption,d devil has come up wit ‘ baby factories’in Nigeria where factory owners recruit young men nd women to co-habit nd produce children for them,for a paltry sum.The owners then give up these children 4 sale 2 desperate childless couples at d cost of frm 250,000naira nd above,per child.Cry my beloved nation,Nigeria,for ur sins are multiplied b4 God nd testify against u.Lord have mercy. My Father in Heaven, I thank You 4 accepting me in Your Beloved Son Jesus Christ nd adopting me as a member of your big Family.By the Spirit of adoption, i can now call You,Abba,Father.Thank You my Father 4 all d privileges of adoption nd sonship.By my adoption,i am now a child of d God of d Universe,a heir of my Father’s inheritance nd a joint-heir with Christ!Halleluyah!! !I AM ADOPTED,not by man,but by God Himself.That is d gospel of Christ we preach. If we are 2 adopt our HOUSEHELPS as our OWN,then our society will b thankful to God.I am saying this b/c d way househelps are being maltreated in many homes leaves me in doubt whether we are ripe 4 adoptn in Nigeria,where househelps are treated like slaves or outcasts.I can easily label d abuse of househelps in homes,including Christian homes,as ‘household wickedness’.Those dat desire adoption must have d right attitude 2 better their lives nd not 2 add 2 their burden.Otherwise,d whole purpose is defeated. 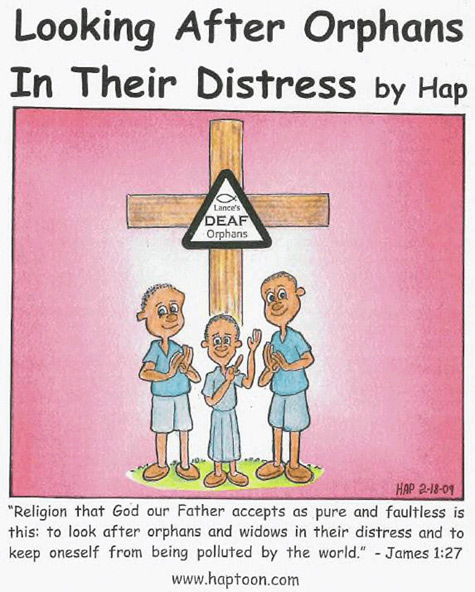 My brethren,if every blood-washed child of God shuld understand the doctrine of adoptn nd our full rights,then we will b in d right position 2 seek adoptn,nd adopt a soul dat will enjoy d benefits of adoptn wit us.In other words,one who is not adopted may not know how 2 minister to an adopted child.You cannot give out what u do not have.It takes the knowledge of our adoptn 2 minister effectively 2 d adopted.Men of God,let ur congregatn know about adoptn,esp our adoptn into d family of God.We need 2 know who we are,in order 2 walk in d fulness of our inheritance nd fulfil our eternal destiny. Aunty Ezar,i never knew about my adoption as a child of God.All dat i knew was John1:12,13…..as many dat received Him,he gave d right 2 b called d children of God.I thot it was ‘direct sonship’,nd not sonship by adoptn.Men of God,teach us.There is much 2 learn as a child of God. I am adopted! I am adopted!! I am adopted!!! Yes,i am adopted into d d biggest,richest nd d most glorious family on d face on d earth,….THE FAMILY OF GOD! What a great privilege 2 b called d child of God.It is awesome.For this reason,i must not despise my neighbour in my thots,in my words nd in my actions. I am who i am ONLY by d grace of God.I can also choose 2 adopt a neighbour in need.’Freely I hv received,freely i give’.Thats d beauty of adoption! HALLELUYAH!!! A national orientatn,nd intensive public awareness creation of d meaning nd significance of adoption will help 2 promote it, esp as Nigeria celebrates her centenary this year. Brethren,adoptn is a selfless calling,a deep-to-deep calling dat is 4 a few in d narrow way dat leads 2 life.A lot in d broad-way of life may not catch dis vision b/c of d selfishness of our time.This vision of adoptn is nt 4 ‘Self-lovers’,but 4 d lovers of God nd humanity.CATCH THE VISION nd run wit it! Abiodun,indeed a national orientatn of our mindset toward adoptn will help 2 overcome d stigmatizatn of d adopting family nd d adopted.The ‘love’ atmosphere in dat family rarely shields the adopted frm a ‘gossip’ who is looking 4 every opportunity to tell d adopted dat she/he is not a biological child.As a people,we are more of busy-bodies than our brother’s keeper.While Oyibos might not mind,Nigerians will mind,nd will want 2 help u take ur ‘chloroquine tabs’-Ezar take note.